Waterproof outdoor boot Highlander. This sturdy suede leather boot is lined with fur and has an anti slip sole. Thanks to a waterproof membrane, this boot not only provides warm, but also dry feet! 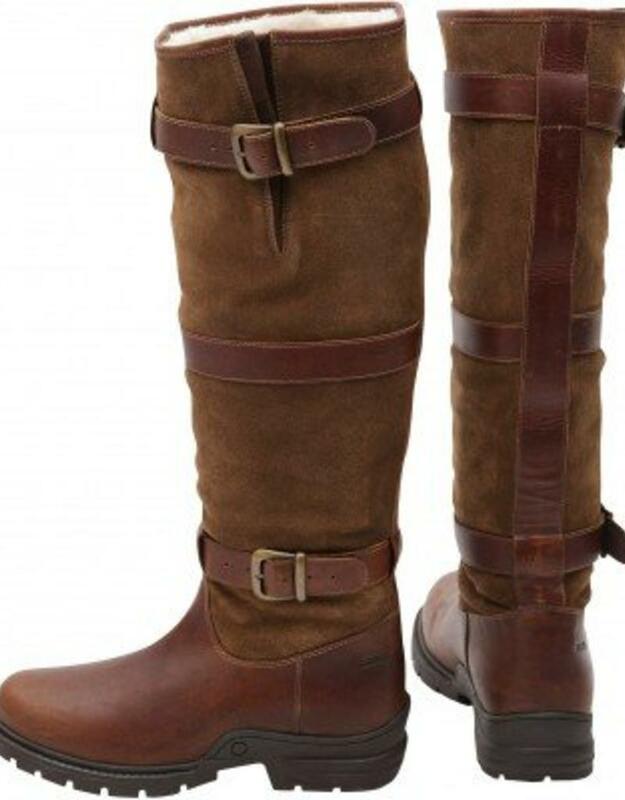 By means of the straps on the boot the width can be adjusted at the ankle and calf so that the boot fits perfectly.